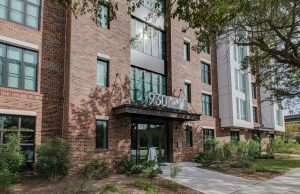 Demand among real estate investors for student apartments in downtown Charleston has fueled the sale of another property geared toward the college crowd. 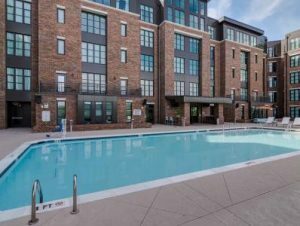 The high-profile and high-end 930 NoMo rental complex on Morrison Drive was acquired by a Singapore-based company, the buyer announced this week. 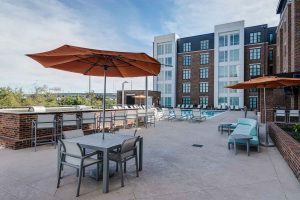 Mapletree Investments Pte Ltd. said it acquired the upper peninsula apartment building and seven others with a combined 3,751 beds near college campuses around the U.S. and in Canada for about $1.6 billion. The seller was Kayne Anderson Real Estate Advisors. The acquired properties are all 90 percent or more leased. “Since 2016, Mapletree has expanded into the student-housing asset class on a global scale as it generates stable and consistent earnings,” CEO Hiew Yoon Khong said in a written statement.